Yesterday, Berto and I decided to dine at Buddy’s at Makati. We ordered the Pancit Lucban (P155), Budin (P55) and the Lumpiang Ubod (P70). I also wanted to try out the Longganisang Lucban but I reminded myself that I’d have to eat rice too, and I really need to lessen my food intake during dinner…This can be such a test on my conviction. Eating is one of the many things my husband and I have in common. Hence, the constant need to lose weight! Berto suggested that instead of putting kalamansi on our pancit, we should try the suka (vinegar) instead. We were not disappointed! The vinegar had been mixed with other spices, and the resulting taste is just right. Mixed with the pancit, the distinct flavor is released adding to the yummy experience. The lumpiang ubod was so good too! It tasted naturally sweet. Unlike other lumpia we’ve tasted, it didn’t rely on the sugar sprinkled on top for the sweetness. The natural taste of the fresh ubod is just perfect. A crushed peanut bar is placed on top instead of the usual crushed peanuts. 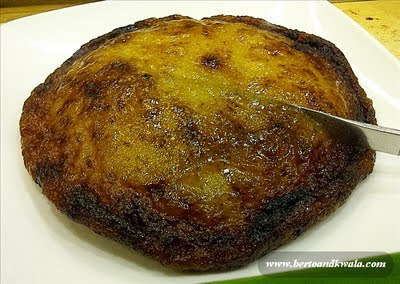 For dessert, we opted for Buddy’s famous budin, a delicious cassava cake that gives you value for your money. It is affordable at only 55 but can serve up to 4 people. My tummy was able to accommodate only 1 slice, Berto had to chomp down the rest. He pretended to complain at first, but then happily finished off our budin. 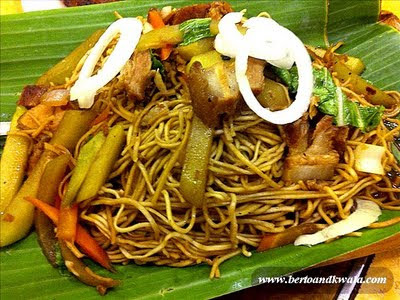 their pancit lucban is my fave! try the chami, miki bihon & sotanghon-canton too. 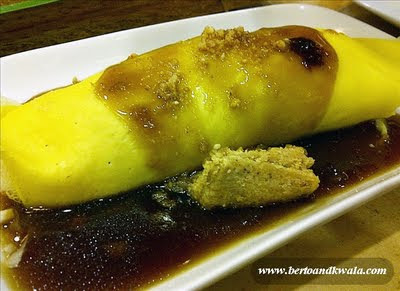 Really good budin too.. super nakakabusog!